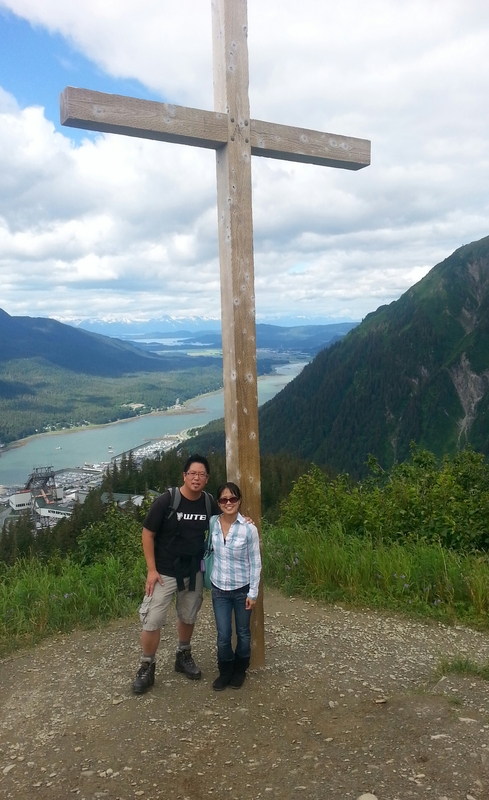 Well … the weather in Seward, Alaska could not have been more welcoming. I was prepared for cold, but we barely needed a jacket that day. The five of us, along with my husband’s parents, boarded the cruise and met up with other extended family folks and friends just in time for dinner. 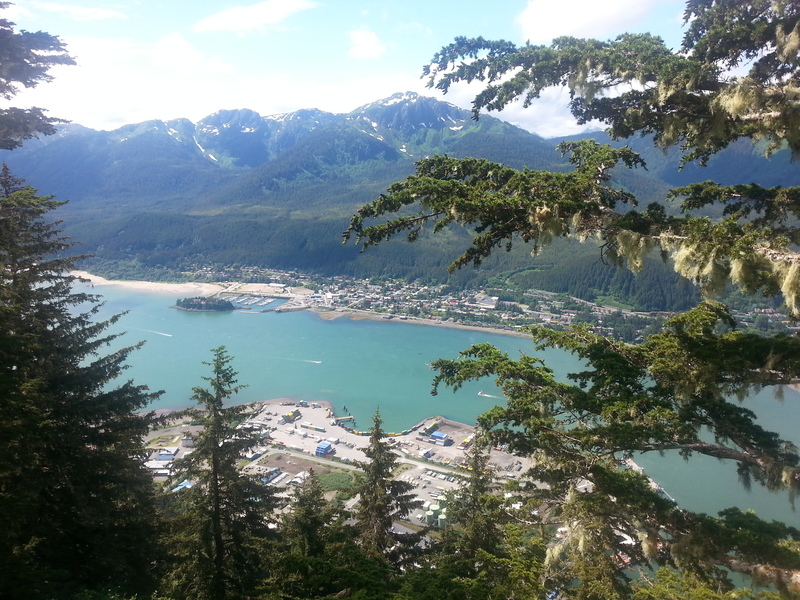 Juneau, Alaska was our first port stop. 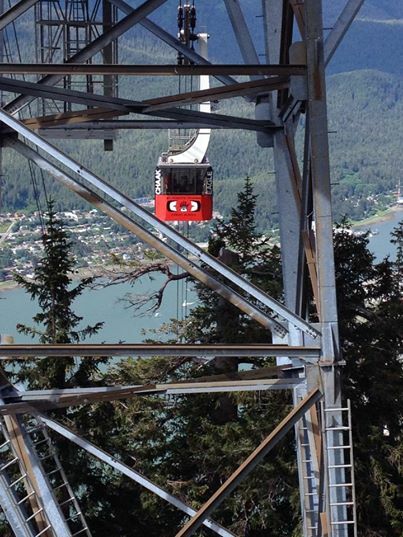 I actually went on one of these sky trams, despite my fear of heights and enclosed spaces. Eek. While my father-in-law and some others stayed back at the gift shop, some of us went on a hike to see Father Brown’s Cross. I was almost going to stay behind, but at the last minute, I decided to go for it. At first, it didn’t seem SO challenging. But then oh my goodness. My heart was pounding … legs burning and so tired. 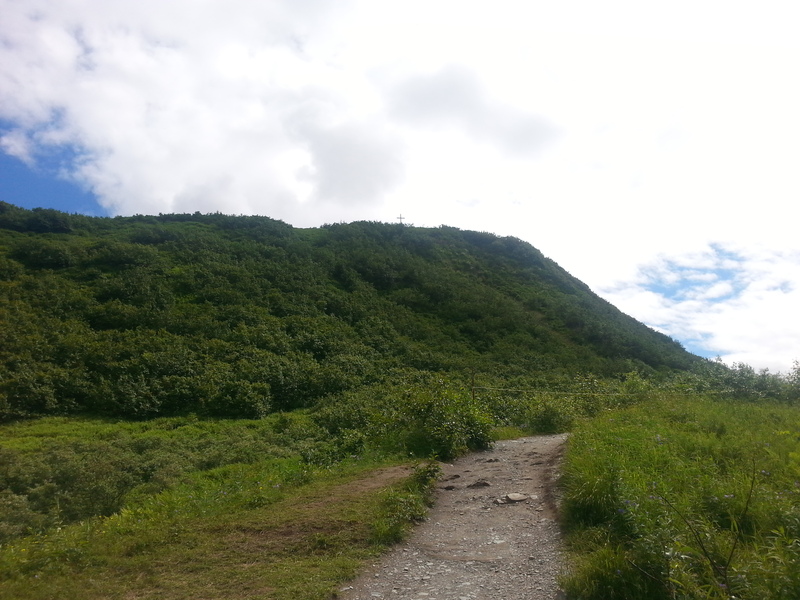 It turned out to be over three miles round trip with some pretty decent, steady inclines. But sigh, when you’re almost halfway up, there’s no use in turning back. FINALLY, as we rounded the trail, we saw this. So out of breath and exhausted … but there was redemption here. Sure, an obviously pregnant woman holding the hand of a boy no more than two years old also made it up right after me … with no trace of exertion or exhaustion on their faces. 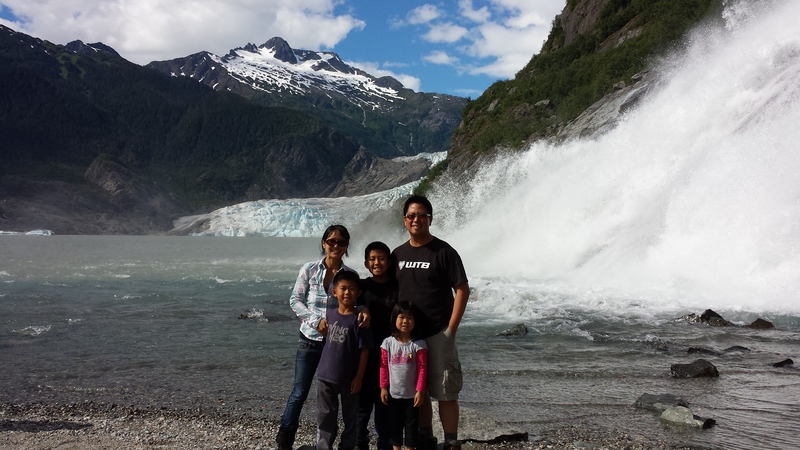 Later that same day, we all managed another hike to see the Medenhall Glacier and feel the wet sprays from Nugget Falls. Back on the ship, the kids definitely had some sweet moments with my in-laws, Poa Poa and Gung (Chinese terms that affectionately mean grandmother and grandfather respectively). 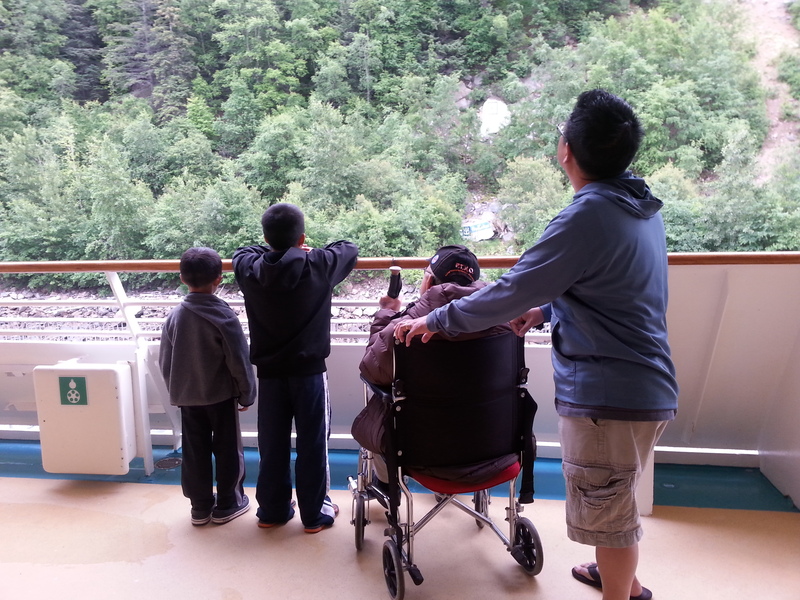 There were many simple but cherished moments…here my husband, the boys and Gung are quietly taking in the mountainside in Skagway. 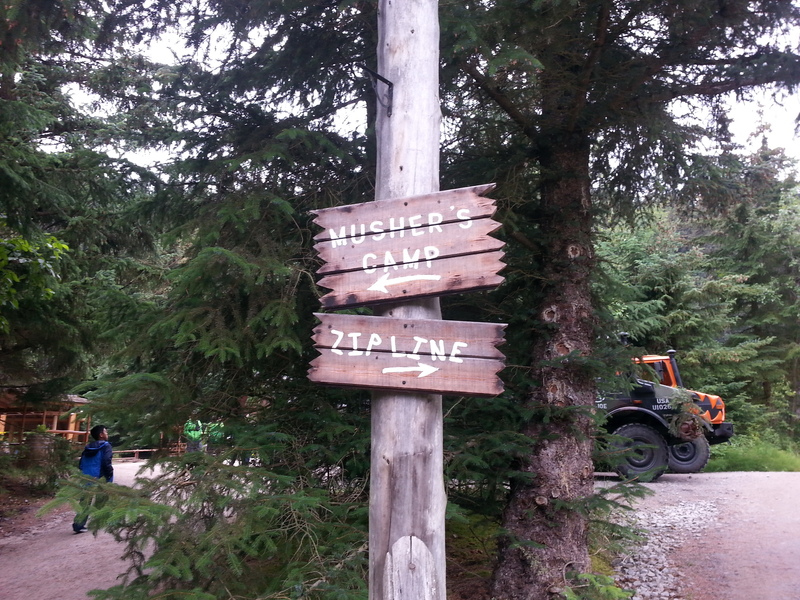 Then into the town for dog mushing …OR … ziplining? 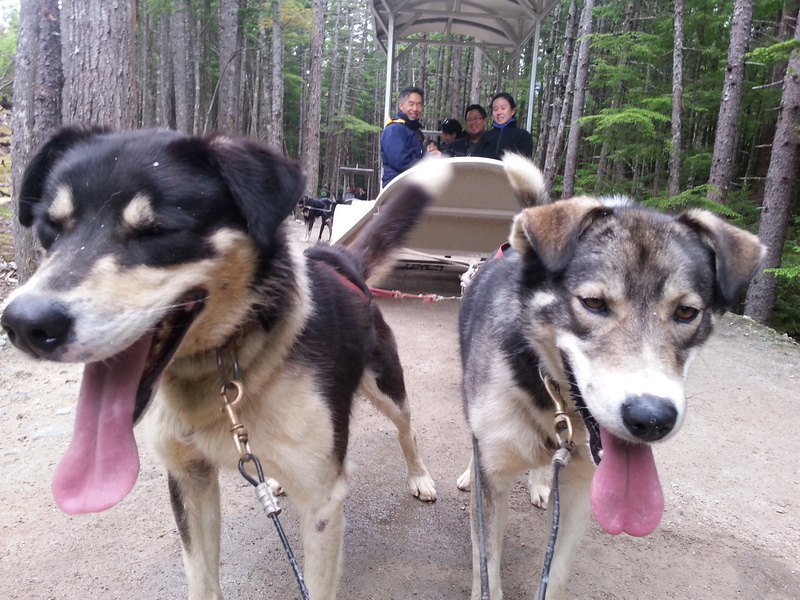 We’ll take the dog mushing, thanks. 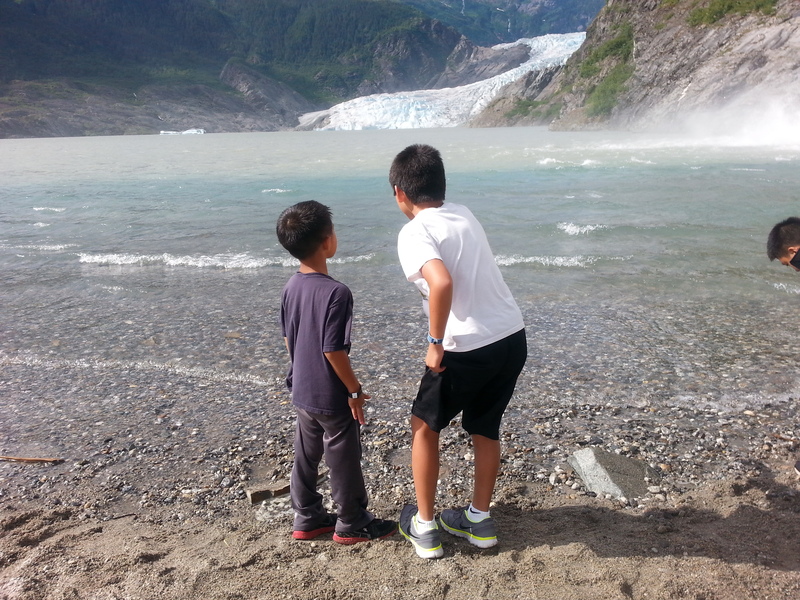 Second port stop — to Icy Strait Point for some crab and potato tornadoes …. fried chips basically on a skewer. What’s not to like here? 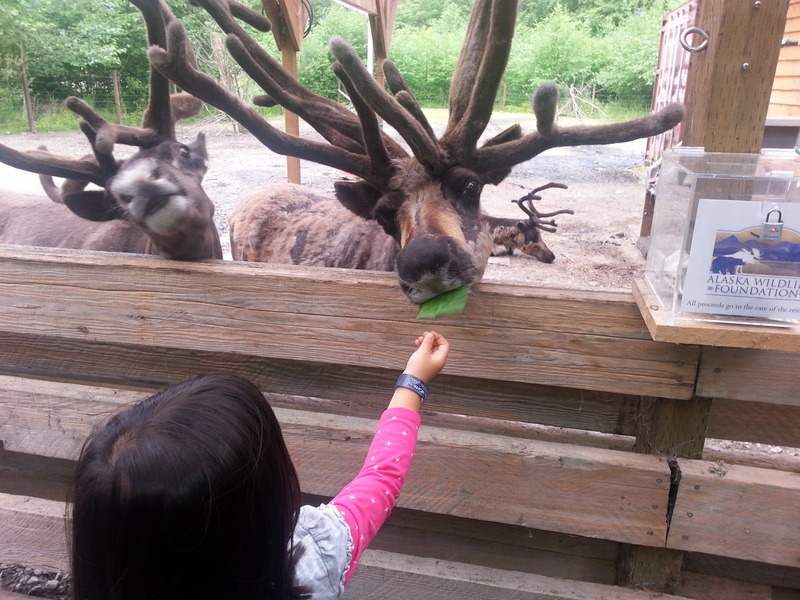 Third stop — rainforest hiking, black bear spotting and reindeer feeding in Ketchikan. 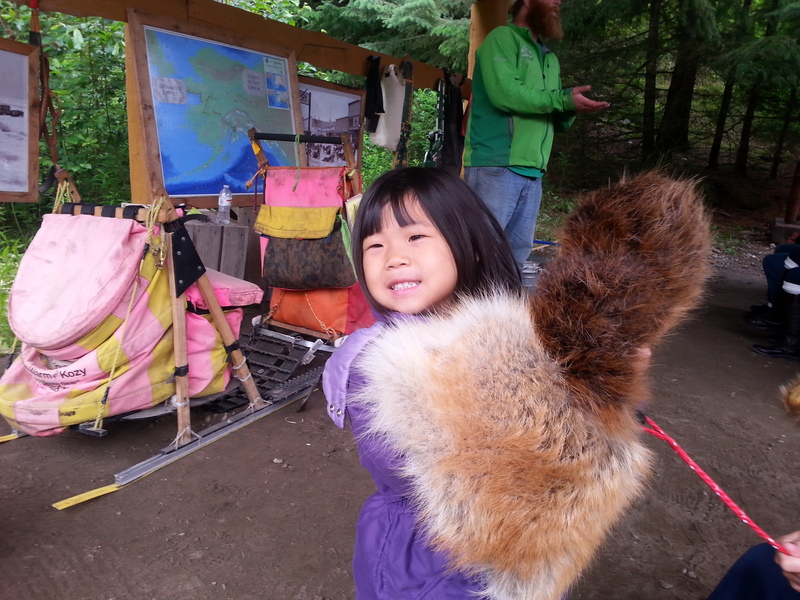 Then we disembarked the ship at the last port – Vancouver, Canada. 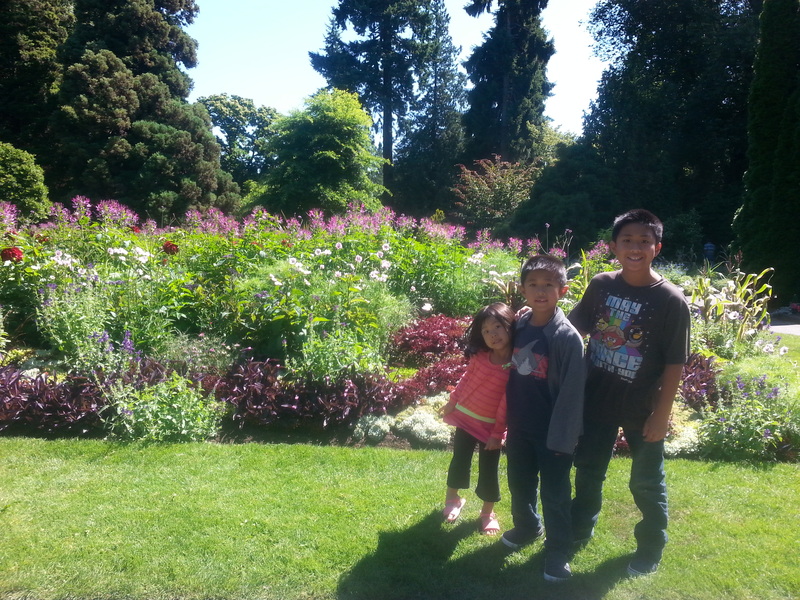 We ended up with a fire engine red rental car (which the boys loved) and stopped at Stanley Park. Despite the palpitations and air hunger here, I was feeling good. It was a beautiful day, really. We could never have imagined how things would drastically change with just one phone call and how our hearts would suddenly cry out for God’s provision and peace.